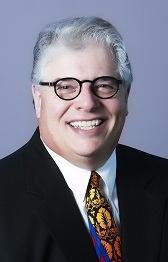 LEON L. LANGLITZ, FSA, MAAA | Lewis & Ellis Inc.
Leon Langlitz brings more than 25 years of diverse actuarial experience to our clients. Leon’s extensive expertise ranging from valuation and other financial issues to strategic planning, expense management, income tax preparation, and asset adequacy testing makes him a natural leader on our team. Since beginning as an actuarial student, he has been active in the insurance industry and his community. This background gives him keen insight to your needs. Leon has spent over twenty years putting his talent to work for a variety of L&E clients, including many state insurance departments where he provides key support for periodic financial examinations. He continues to sharpen his skills as an active Fellow of the Society of Actuaries, a member of the American Academy of Actuaries, and an Associate Member of the Society of Financial Examiners. Presenter at Session 81 - Mandatory Expense Reporting for Life & Health Insurance Companies at the SOA 2015 Annual Meeting & Exhibit in Austin, Texas. Facilitator at the SOA 2013 Annual Meeting & Exhibit's Session 129 Buzz Group: Current Topics Impacting the Smaller Insurance Company in San Diego, CA on October 21-23. Discussion will range from the impact of the existing economic situation to the state of regulation. Presenter at Session 11 - Smaller Insurance Company Section Hot Breakfast at the SOA 2012 Annual Meeting & Exhibit in National Harbor, Maryland. Presenter at Session 31 - WRM Workshop for Small Companies with Max Rudolph of Rudolph Financial Consulting, LLC at the SOA 2011 Annual Meeting & Exhibit in Chicago. Gave an Actuarial Update at the NALC 2011 Fall Conference in Park City, Utah. Moderator for the round table discussion on Current Topics Affecting Smaller Insurance Companies (session 83) at the SOA 2010 Annual Meeting & Exhibit in New York City. Spoke on aspects of the Health Care Reform Legislation at the NALC 2010 Fall Conference in Stowe, Vermont. Spoke at the 2010 Kansas Insurance Institute in Overland Park, Kansas. His speech, entitled "What Happened? Actuaries and Their Love Affair with Risk", dealt with Life Reserves/Risk-Focused Approach. Spoke on ERM for Small Insurers (session 20WS) at the SOA 09 Annual Meeting in Boston. Addressed the NALC at their 2009 Spring Conference in Bonita Springs, FL. Leon spoke on "Product Development in Troubling Times". Facilitated a round table discussion on Current Topics Affecting Smaller Insurance Companies (session 89) at the SOA 08 Annual Meeting in Orlando. Served on the Society of Actuaries' Smaller Insurance Company Section Council for a three year term. Presented at the 2005 SOA Annual Meeting in New York City. Leon spoke on Products of Interest for Small Companies (Session 77).